Standards-based grading and reporting helps to provide an accurate picture of student achievement in regards to Ohio Learning Standards. These standards-based grades will help teachers plan their instruction so they can challenge and support all students. Standards-based reporting will help parents know the academic areas in which a student meets expectations, needs challenge, or needs support. 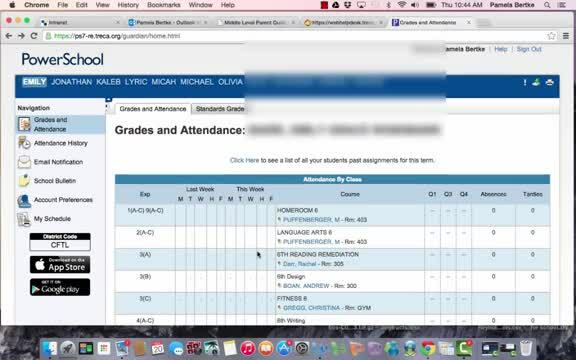 To learn more about our approach, please review the Parent Guide posted to the right or watch the video below, which explains how to interpret grades recorded in PowerSchool and on your child's report cards. The Standards-Based Report Card is designed to communicate how students are doing in math, language arts, science, and social studies. Standards-based reporting communicates with parents specific expectations of student's learning; this information is helpful in planning academic support at school and from home. There are four levels of achievement on the Elementary Standards-Based Report Card. E- Consistently demonstrates exceptional mastery and higher level thinking of grade-level standard. A student earning an “E” independently uses and applies knowledge in ways that consistently demonstrate higher level thinking skills. The student demonstrates exceptional mastery of grade-level standards. M- Consistently meets and applies grade-level standard independently. A student earning an “M” demonstrates expected understanding of grade-level standards and requires minimal support. P- Progressing toward expected understanding of grade-level standard with assistance. A student earning a “P” has not yet met the standard, but is progressing toward achieving skills and learning grade-level standards. L- Shows limited/inconsistent application of grade-level standard. A student earning an “L” is currently not meeting the grade-level standards. The student demonstrates an inconsistent understanding and application of knowledge. A Parent Guide is available to the right to help families understand their child's report card. These behaviors directly impact student achievement. Students' effort regarding these behaviors should be celebrated both at school and home.